On World TV Day, the United Nations put its spotlight on the key role television plays in focusing the world’s attention on a wide array of issues – ranging from the environment to conflicts and other pressing economic and social issues. At a panel discussion event on Tuesday, the UN showcased collaborations between the TV industry and international organizations on various ways to educate people in an entertaining fashion. 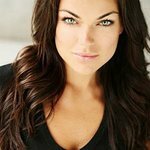 Blending the goals of her activism with her work on the American drama series Graceland, Serinda Swan spoke about how she was able to infiltrate entertainment with philanthropy, spotlighting her work on human trafficking. And it worked. Ms. Swan has had people tell her that they have made life-altering changes because of watching the show. Also on the panel, Raeshem Nijhon, the producer of MTV’s Rebel Music and the upcoming Girly TV series has turned her attention to women’s issues. Ms. Nijhon underscored that real people could watch the TV show, connect with a character, and become invested in what that character goes through – using the spotlight on pop culture to wrap important issues in. For his part, producer Neal Weinberg’s has created half-hour episodes of ASPIREist, which encourage millennials to look at relevant issues. One example is an episode on ‘Stop Sucking’ that inspires audiences to break the habit of using plastic straws, showing the damage they do to the environment. The shows will also be clipped for easy social sharing and feature a call to action for viewers.